"May you be gifted with life’s biggest joys and never-ending bliss. 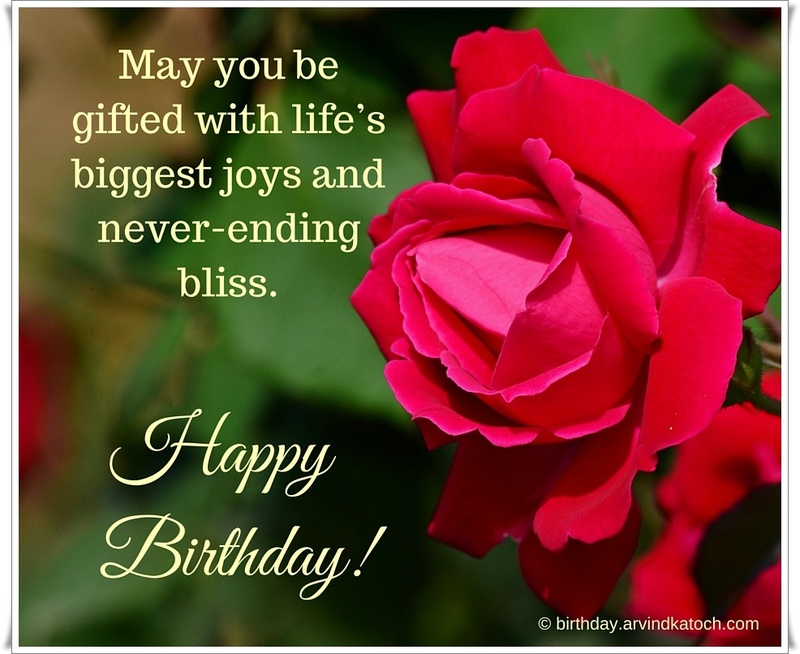 Happy Birtdhay"
About the Red Rose Birthday Card - A unique card made with an original and beautiful picture of a red rose flower to express your deep feelings for the birthday through an attractive birthday quote. This is a special birthday card for the special people.